Greetings from Shirahama ! Kon-nichiwa ! Throughout ca. 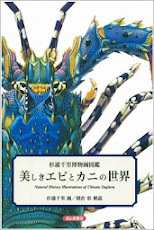 90 years history, the Seto Marine Biological Laboratory (SMBL) has been one of center institutions in Japan to study taxonomy, systematics, phylogeny, evolution, ecology, behavior, development and other natural history sciences of marine biota. 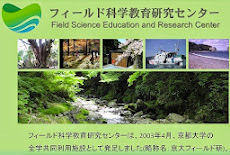 SMBL is located on Bansho-zaki, Shirahama-cho, on west coast of Kii Peninsula, and is well situated for research on many aspects of marine biology. The water around SMBL is relatively free from pollution, and the warm oceanic current, Kuroshio, transports warm seawater as well as so many marine biota of tropical ocean to Kii Peninsula. The flora and fauna are exceptionally rich. The salinity is, in general, like that of the open ocean, but there are a few estuarine situations of low salinity. 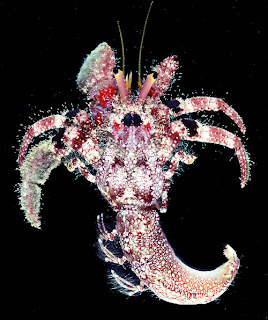 Representatives of nearly all major groups of marine invertebrates and algae can be obtained by collecting at the shore, and depths down to 200 meters can be explored by dredging and other collecting techniques. Many of the organisms available are important for research in taxonomy, phylogeny, ecology and other natural science. The town of Shirahama-cho can be reached by scheduled air service from Tokyo International Airport at Haneda, and scheduled express train and bus services from Osaka or Kyoto. SMBL controls biological preserves at Hatake-jima in Tanabe Bay, that provides a wide range of protected terrestrial and marine environments available for short- and long-term research projects and educational use. At SMBL, research is conducted throughout the year by a permanent staff of resident researchers, including myself, as well as graduate course students and post doctoral fellows with a variety of ongoing research programs. It is a principal function of SMBL to provide facilities for visiting investigators from national and international institutions, as SMBL has been visited by hundreds of distinguished scientists from all over the world. Visiting researchers are encouraged to use the facilities at any time of year. Accommodation (maximum 50 persons) is also available in the lab. 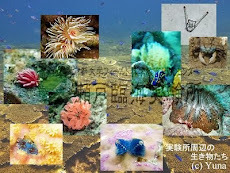 SMBL, part of Kyoto University, offers wide variety of open courseworks in marine biology for undergraduates and graduate students in spring and summer and is also hosting many field courses of marine biology by other universities and high schools (SSH Program) throughout a year.